Humidity is not something people usually think about unless it is an extremely hot and muggy day. However, the humidity levels in your home play a large part in maintaining the optimum air quality for you and your family. Too much humidity can be very uncomfortable, while too little humidity can affect your skin and breathing patterns. At Larry & Sons Plumbing, Heating & Air Conditioning, we offer a range of high quality home humidification devices that can regulate humidity levels in your home year round. 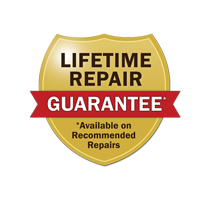 Our skilled Hagerstown, MD humidifier technicians can help you choose a model that suits your home and budget. The summer months can be quite warm and humid, and this can lead to an excess of humidity in your home. Many people find that humid air is heavy and more difficult to breathe. This may cause problems for people with allergies or asthma. In addition, you may begin to see the effects of excess humidity on your home as well. Uncontrolled humidity may cause a buildup of mold, especially in areas of the house that are poorly ventilated. In addition, on very humid days your air purification system may be working overtime. A good dehumidifier can make quick work of these problems, allowing you to breathe easier, spend less time cleaning, and potentially save money on energy bills. In cold, dry environments, there is often little humidity in the air. This may seem like a good thing, but we actually need a little bit of moisture to breathe easier and to keep our skin and hair hydrated. In addition, the furniture, floors, and walls of your home need a moderate amount of humidity to prevent cracking and warping. Moreover, properly humidified air tends to retain heat better, so you do not have to waste unnecessary money on heating bills. If you find that the air in your house is very dry in the colder months, a humidifier may be the solution you are looking for. A humidifier can regulate the amount of moisture in the air to keep you healthy and comfortable. A good humidification system can remove excess humidity in the home, or add humidity to the dry air in your home so that you can breathe with ease, enjoy optimal health, and save on cleaning, renovation, and energy costs. At Larry & Sons we can help you choose a suitable humidification system for your Hagerstown, MD home. Our trained professionals are on hand to help answer any questions you may have about our high–quality humidifiers and dehumidifiers. They can give you the detailed information you need to pick a model that will give you and your family the greatest possible advantages and last for years to come. In addition, they can service broken devices and advise you on how to use a humidity device with your air purification system for maximum benefit. For humidifiers in Hagerstown, Frederick, MD, and the surrounding areas, call Larry & Sons!